I grew up near the South Downs – which means that I completely took them for granted. Don’t make the same mistake, as the South Downs actually make a great place for (you guessed it) a cheap weekend break. 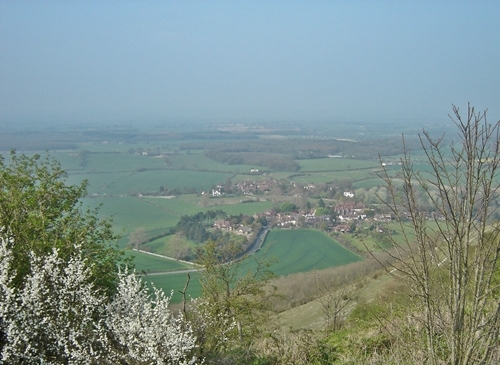 The South Downs are a series of gentle, chalky hills that roll over Hampshire and East and West Sussex. Covered with soft grass and offering frequent glimpses of the coast, The Downs, as they’re called locally, provide an easy path into outdoor adventure. You don’t need to pack well and prepare for the elements, as you do in the Peak District or the Brecons. You don’t need specialist equipment. You can walk, fly a kite, cycle and run – or you can stop for lunch and a pint at one of the many atmospheric English pubs. Take this one spot – perfect for a free day out. It’s called Devil’s Dyke (to much sniggering across Sussex classrooms). Legend has it that the devil carved the valley up like this in order to flood the inhabitants of the Weald. Geologists have a few other theories, but either way, it’s a stunning viewpoint. The South Downshave even more reason to be pleased with themselves than usual, since they became Britain’s 15th National Park earlier this year. Great post! I love walking in the South Downs, too. It’s a really beautiful part of England!